Have you ever gotten carried away with your leaders & enders, and they became your drop-everything-and-make-it-now project? I had been using these little units as leaders & enders for awhile, but the box was getting kind of full, so I counted to see how many I had and figured how many I'd need. On Saturday I cut enough pieces for the rest of the blocks I'll need. 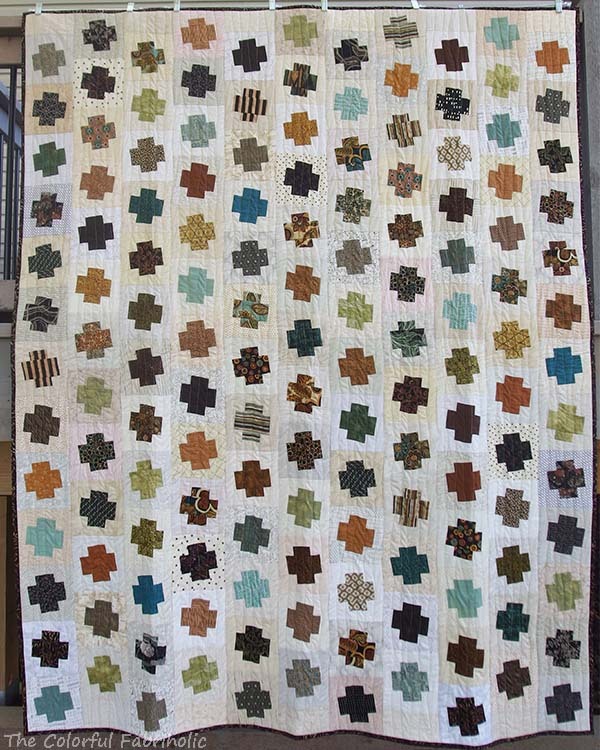 Then I couldn't resist - I chain pieced until I had all of them sewn. 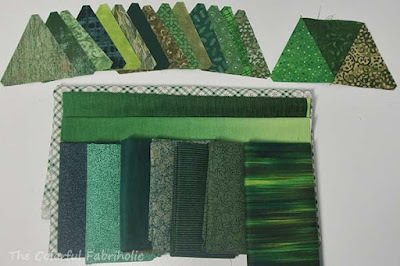 The fabrics are all batiks from stash. Here they are on the wall, first placement without moving anything around. In the photo I see some areas where I need to fix some things. This layout needs one more column on the left and another row each at the top and the bottom, but I ran out of wall space. I'll be able to add the rest after I sew some of these units together and it shrinks up some. The flimsy will finish at 72 x 84". If you start at the light center and follow the lights clockwise, you'll see that the layout is a continuous spiral. Now that the units are all made and this is on the wall, I guess it's not a leaders & enders project any longer, so I'll have to count it as a WIP. I guess I need to get busy and move some WIPs along to finishes! The quilt my SIL is planning to give to her friend in Alaska is finally finished. She gave me the info she wanted on the label - it's a wedding gift - so I could print out the label and bind the quilt. I had enough of that green tribal print left and my SIL really liked it, so that's what I used for the binding. This quilt has high-loft poly batting, which I don't usually use, but that's what they wanted. 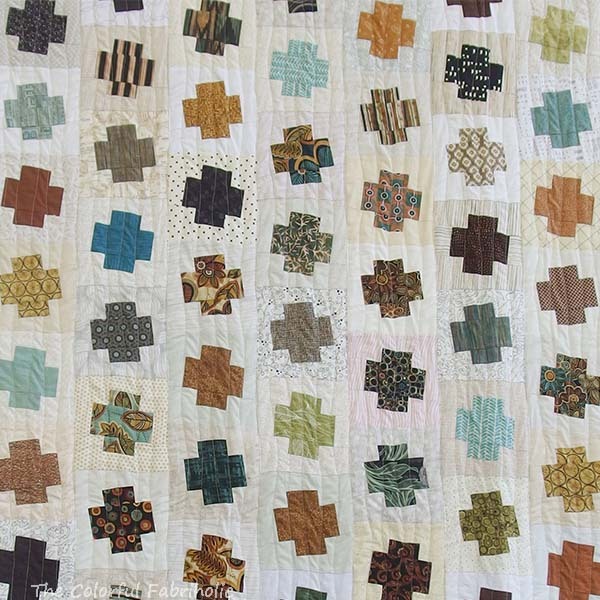 It really gives the quilting a lot of depth and adds a lot of texture. My SIL and a group from her church do missionary service in Alaska every summer. Among other services they do, they take Vacation Bible School to a remote native village. The logistics involved in this endeavor are amazing. They've been going to the same village for more than 20 years. After their stay in their usual village, my SIL will travel to another even more remote village in Northern Alaska for her friend's wedding. She has watched this friend grow up since the age of 3, go to college in the Lower 48, and establish a home of her own. SIL thinks of her friend like a niece, and she wanted to give her a quilt, and I'm happy to oblige. 1, 2, 3: Bonus blocks for someone else's special project. Only two blocks were requested, but I made #3 first and I didn't like the value contrast so I made #1 to replace it. I'll send #3 anyway in case she can use it after all. 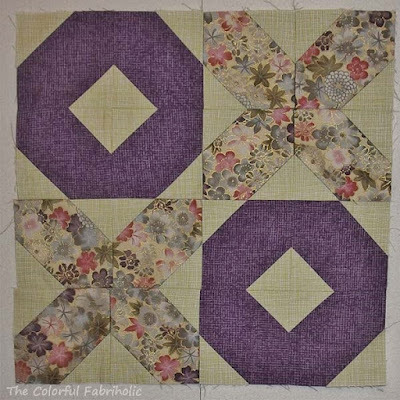 4, 5, 10: Sew Bee It bee blocks. Due to various scheduling issues, blocks for April/May/June were handed out in May and are due at the July meeting. 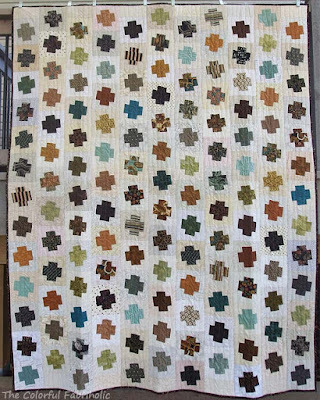 6: Piecing Group bee block: hand pieced sashing unit for the recipient's Baltimore Album WIP. 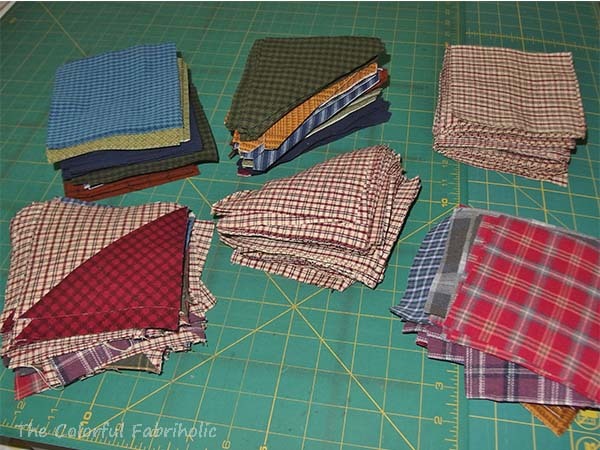 Not pressed; we float all the seams in hand piecing and the block's owner will press the seams as she wishes. 7, 8: Blocks for weeks 22 and 21 of Pat Sloan's Solstice Challenge. I'm caught up until block 23 is released later today. 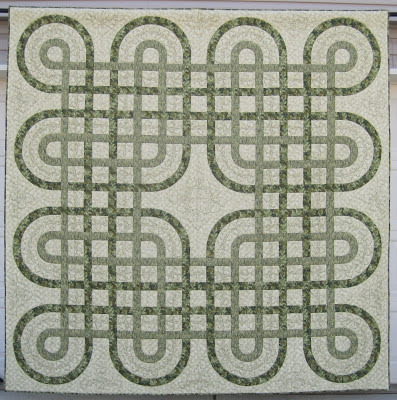 9: May block from The Quilted Fox's First Saturday BOM. This is block 9 of the series. I've made all the main blocks and I have the kits for the alternate blocks, but I'll wait to make them until I see the suggested layout at the end and see if I like it or want to change it up. Lots of variety! This is what I've been busy sewing lately. What's keeping you busy? But first, we have our internet/TV/home phone restored, YAY!!! Everything mysteriously came back a little after 9:00 last night. I didn't realize how much I'd miss it all until we didn't have it. I spent Friday working off-line in EQ and prepping for a new project. DH wants a flannel quilt, and I'll need to get started soon to have it finished for his b-day in November. I've been saving his old shirts that are too frayed to wear anymore, and I bought some cuts of flannel in Paducah recently. I played in EQ, came up with a plan, and spent Friday cutting. 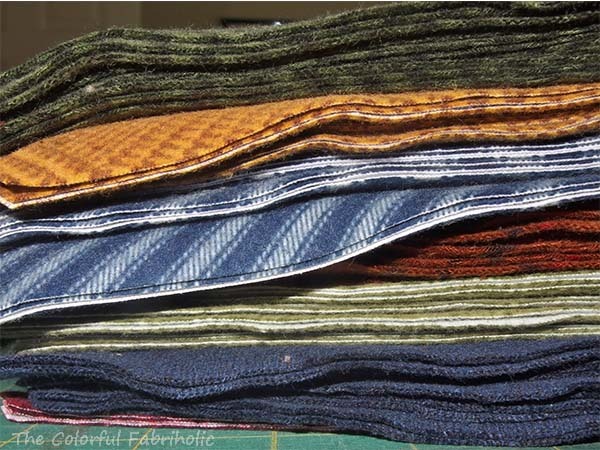 First, though, I ran the new fabrics through a couple of hot water/high heat dry cycles to preshrink them as much as possible, since the shirts were already well washed and shrunk. Do you have any idea how much lint that preshrinking process generated?!!! I should have taken a photo. I used the die cutter DH recently gave me and was able to make a test block that went together well. Does anyone recall the name of this block? On Friday I spent most of the day cutting. With no internet or TV, I had nothing better to do, right? With the die cutter, it went well and my day was very productive. I now have everything cut and kitted up in a project box for upcoming sew days with friends. I even got started on some of the HSTs, which came out just right with no trimming needed. What a time-saver! See that red plaid on the lower right? That's from DH's all-time most favorite shirt, an LLBean shirt that he got more than 20 years of wear out of. We have a photo of him wearing it in 1989, and we didn't take that shirt out of the rotation until after he started wearing a beard in 2012, when the collar became too frayed to wear anymore. 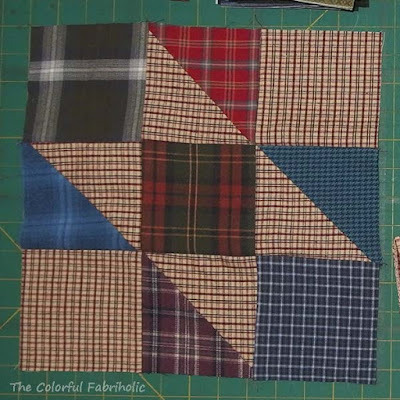 Yes, the fabric's a little thinner than the newly bought flannels, but so what, this is a quilt for him to use, not an heirloom. So here's the plan, as drawn in EQ, 12" blocks with 4" borders, 68 x 80" before quilting. 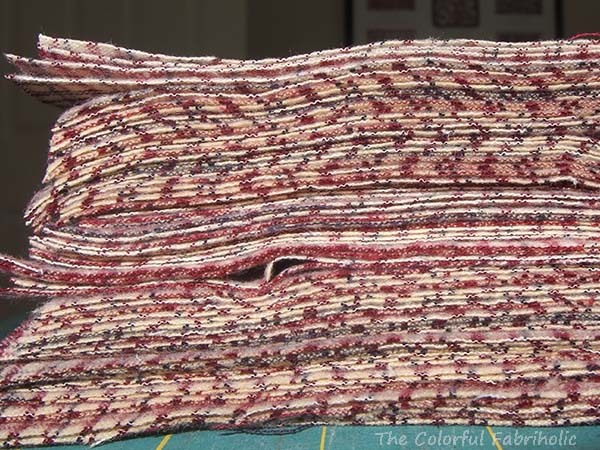 DH has specifically requested wool batting, and I'll use the leftover shirt backs and flannel yardage to piece the backing. 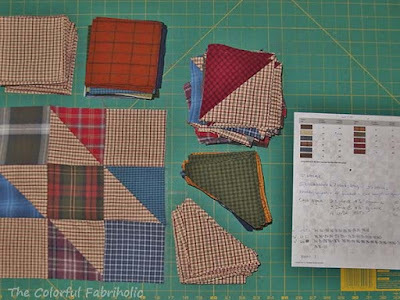 This quilt may not be a beauty, but it'll sure be cuddly. So as the saying goes, I have my work cut out for me. 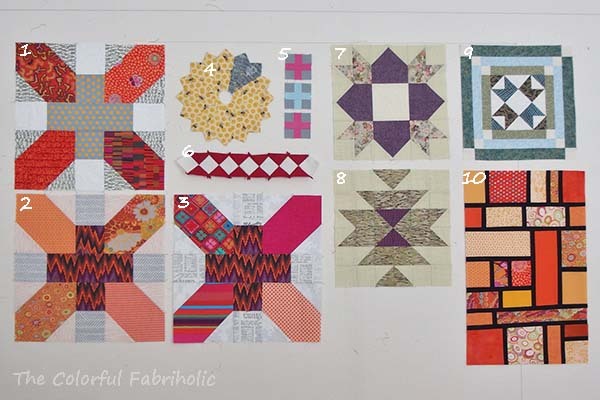 I'm looking forward to a sew day and camp weekend with friends where I can work on piecing the blocks. 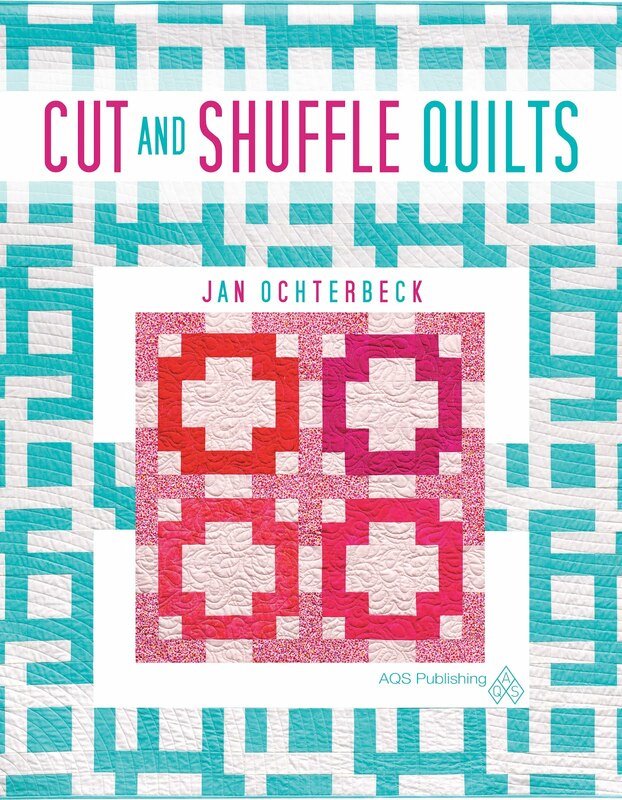 Since Judy L. has retired from hosting Design Wall Monday at Patchwork Times, another Judy has taken over. Check out everyone's Design Wall Monday posts at Small Quilts and Doll Quilts. We had a lightning strike Thursday night which knocked out all the circuit breakers in our home. They're all flipped back on and the appliances and devices all work fine, thank goodness for surge protectors. But we have no internet, TV, or home phone. On Friday it was an area outage and they were supposed to call when service was restored. They called Saturday a.m. but we still don't have service, so they're sending a repair guy out tomorrow. Do you know how hard it is to be without internet (me) and TV (DH) for 3 days??? The upside is, I got a lot done in the sewing room. 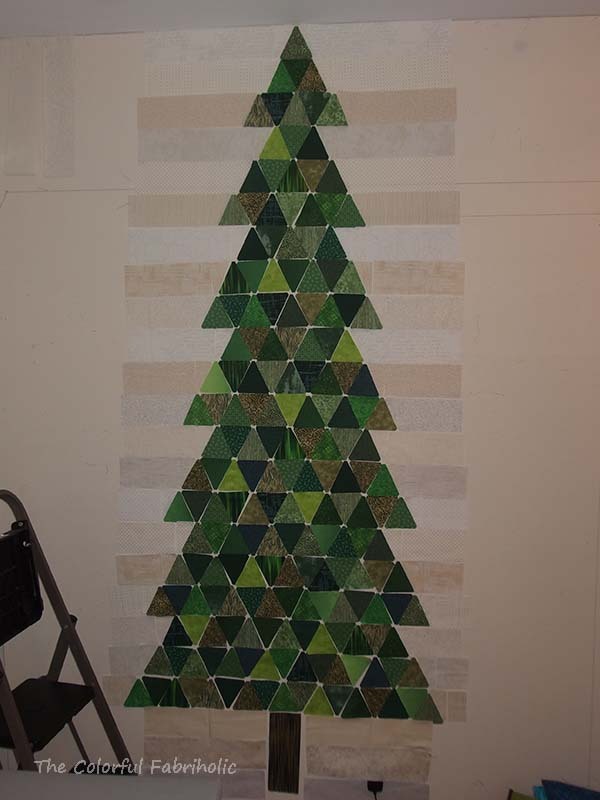 I pieced a back for my Christmas Tree project. 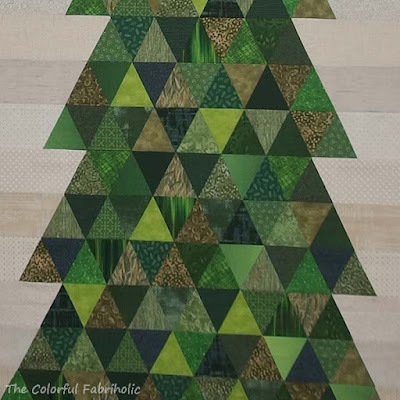 This is particularly appropriate for this project because it's one of the featured fabrics in my son's wedding quilt, and the Christmas tree project is also for him. Have I ever shown his quilt on the blog? Here it is; it's called Celtic Lullaby. The fabric shown above is the lighter of the two pathways. Remind me, and I'll tell the stories about this quilt in another post. Hopefully I'll have internet service back tomorrow and I'll be back to my usual routine. Wish me luck! One of the members of my STLMQG bee requested a Mosaic Slab block, in any monochromatic color palette, with black sashing. I raided my orange scraps, and this is what I came up with. As you can see, it came out wonky. I hope that's OK. This was actually pretty hard for me - improv is so not my thing and I don't do it easily or well. This slab is 13-1/2" x 20", about an inch bigger than my friend requested, so she can trim it down to meet her needs. Quite a departure from my usual work! This was not as easy as I expected to put together. Matching those points meant some seam allowances were more than 1/4" and some less, so the background strips had to be adjusted accordingly. This was basically an exercise in fudging it to get it to work. No tutorial for this project, folks... But, hey, look at those points! The finished flimsy measures 77-3/4" high by 30-1/4" wide. It started much bigger - about 92-1/2" high including the top two rows of background not present in the layout photo below. Best estimate, this project used 3-3/4 yards of fabric. My son was visiting last weekend and we talked about how he wants to hang it. It turns out he doesn't want to hang it on the back of the front door after all because the door swings open toward a coat tree, and he's afraid that wouldn't be good for the ornaments. He wants to hang it on a wall instead, where it's less likely that anything will bump into it. Much safer for the ornaments. And much easier for me - all I have to do is add sleeves at the top and the bottom so he can hang it securely to the wall. 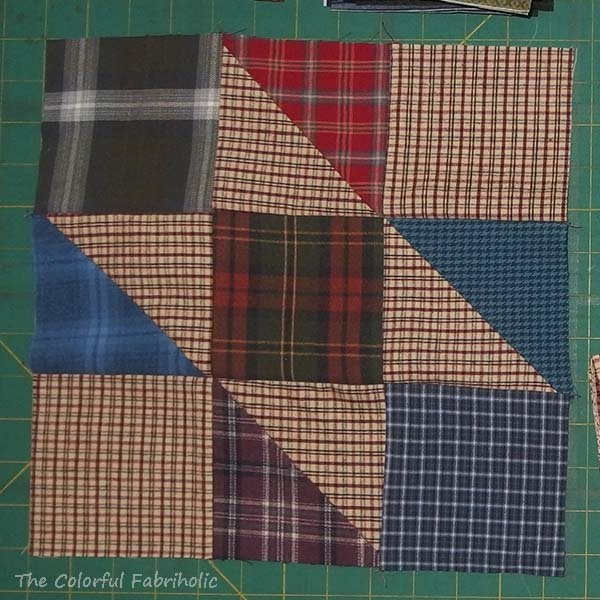 I'll quilt this and attach the sleeves in the binding. Then I'll add the loops for the ornaments last - since those are handwork, they'll take awhile. All the pieces for the Christmas tree hanging have been cut and laid out on the wall. Now it's time to start sewing them together. Can I get it together by Friday for a Friday finish? Maybe! I've been trying to keep up with the Solstice Challenge blocks, but Block 19 from the week I went to Paducah didn't get made until later. Here are the first 19 blocks on my wall before I took them down to work on the tree project. Several have been modified to suit me. There's also an extra block that I made to test out my new cutter. Block 19 was another large and complicated one (think Parcheesi board) so I modified it a bit to 12". Block 20 didn't require modification. What a difference lighting makes; the photos above were taken indoors on a dreary day and the one below in the same location on a bright day. The color is better in the photo below. So I'm caught up through week 20; only five weeks to go. I definitely like some of the blocks better than others. Not sure I'll use them all in the final layout; we'll see. I finally got a chance to take outdoor photos of my finished Dancing Plus II quilt. Unfortunately it's been folded for over a week, which shows at the bottom. DP II is big and snuggly, 65" x 80" after quilting. 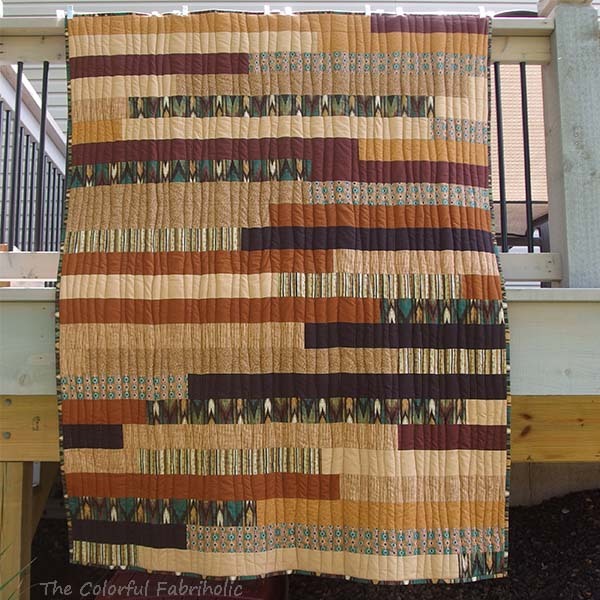 I quilted it with vertical organic wavy lines. 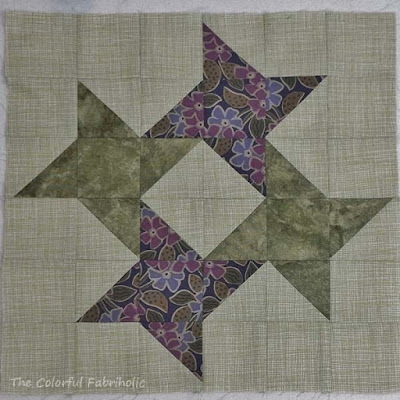 Very simple, but it doesn't detract from the piecing or the dancing effect of the blocks. Very scrappy, too. I used lots of charms, scraps, and leftover binding bits for the plusses, and lots of low volume prints from my collection for the background. 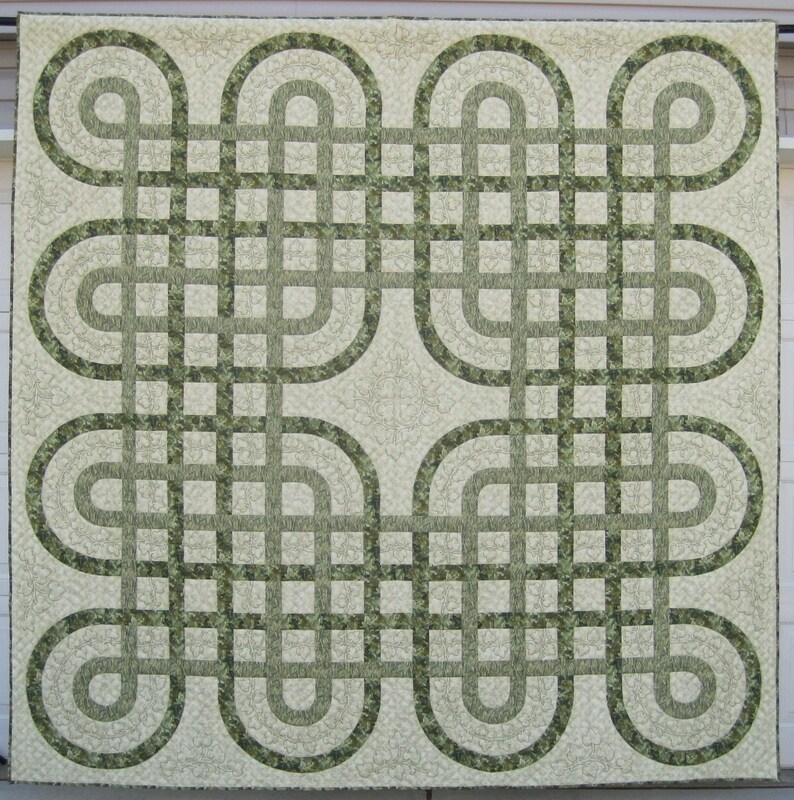 I've entered Dancing Plus II in the STLMQG quilt show in July. STLMQG's motto is "all modern all the time." 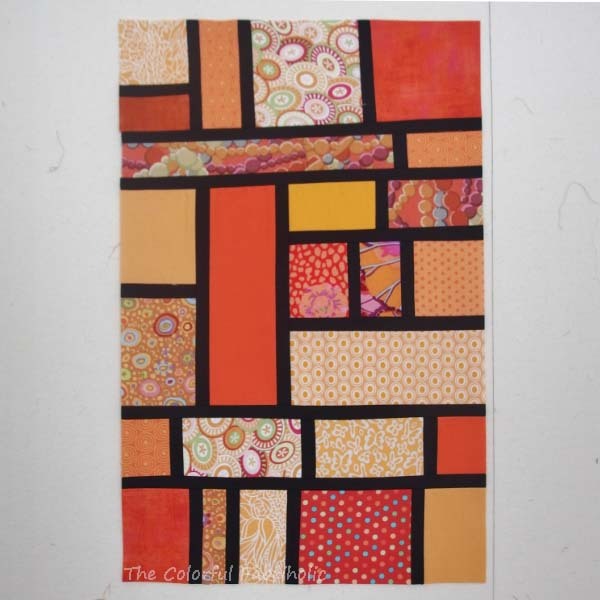 My original Dancing Plus started as a bee project with my STLMQG bee, Sew Bee It, in bright modern fabrics and colors. That quilt was given away as a gift. 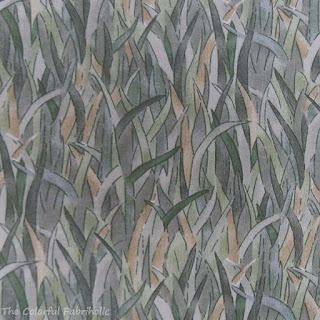 This one is for me and the palette is more subdued. 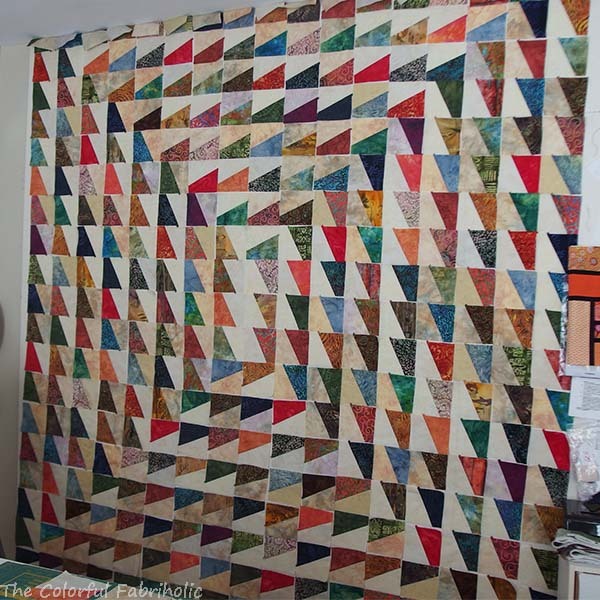 Is it acceptable for an "all modern all the time" quilt show? Yes, here it is almost Mothers Day and I'm talking about Christmas. But I need to finish this project for an event in July, so I should get going on it. 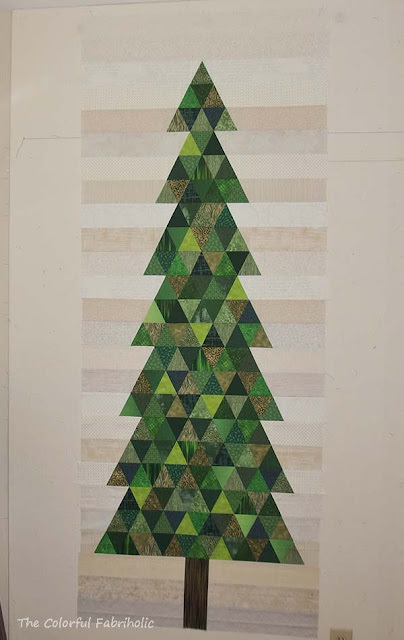 My new die cutter made cutting all the triangles for my Christmas Tree door hanging go quickly! I used the 3" Triangle-in-a-Square die, and got all the triangles I need cut and laid out on the wall already. If you missed the back story on this project, my son lives in a small house with roommates, three cats and a toddler. They don't have room for a Christmas tree so my son requested a quilted wall hanging that would fit on the back of a door. He wants loops on it so they can hang real ornaments. I think that's an inspired idea, and I'm glad to be able to make this for him to solve their Christmas tree problem. He and my grandson will be visiting this weekend, so I can work with him on how the tree will be hung. Magnets? Rod pockets? We'll figure it out. It looks huge on my wall here, but it'll lose 11" in height and quite a lot in width due to all those seams. I'll add a tree trunk, and it'll finish about 78" high and 30" wide, just right to hang on the back of the front door. Next step: cutting the background. 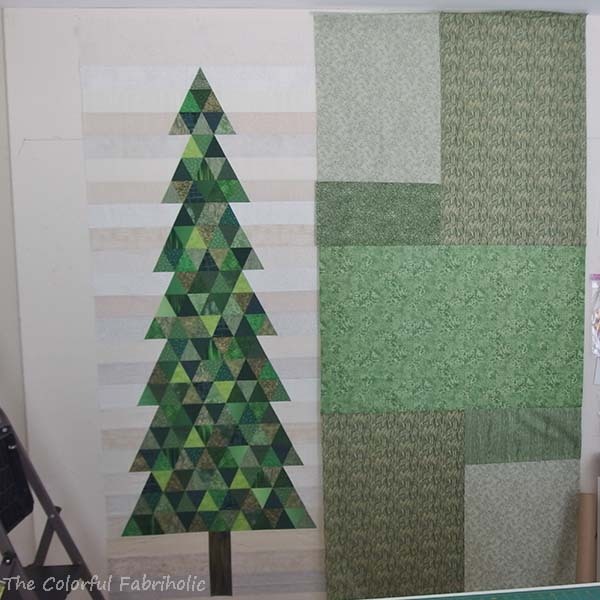 I plan on neutral/low volume horizontal strips that will finish at 3" wide, the same height as the triangles. 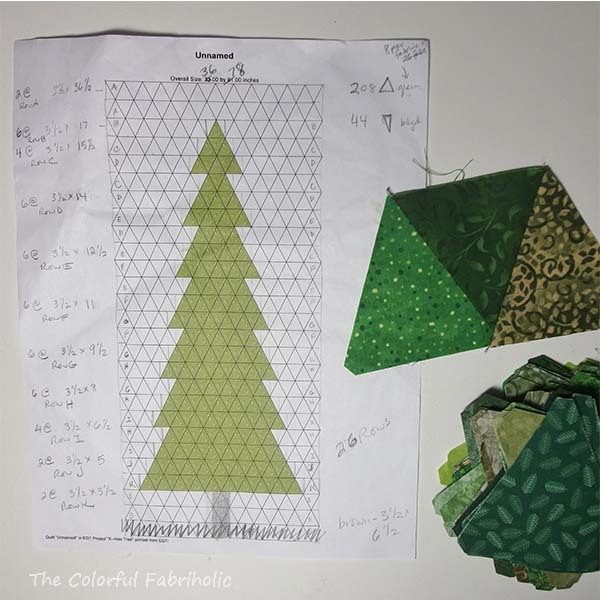 I'll use the side triangle die of the Triangle-in-a-Square die to cut small neutral pieces to square off the rows at the ends of the green triangles, so cutting those should go quickly, too. Then it will be just a matter of joining pieces into rows, etc. I'm hoping to have the top completely done by the end of May and the tree quilted and bound by the beginning of July for Sarah Craig's 12 Days of Christmas in July blog hop. My son has requested a door-size Christmas Tree wall hanging. They have three cats and a toddler at their house. The house is small and there isn't room for a Christmas tree. He wants a wall hanging that will fit on the back of a door, and he wants loops in it to hang real Christmas ornaments. OK, no problem, Mom can handle that. Here's the basic plan. The tree itself will be like a Thousand Pyramids design. 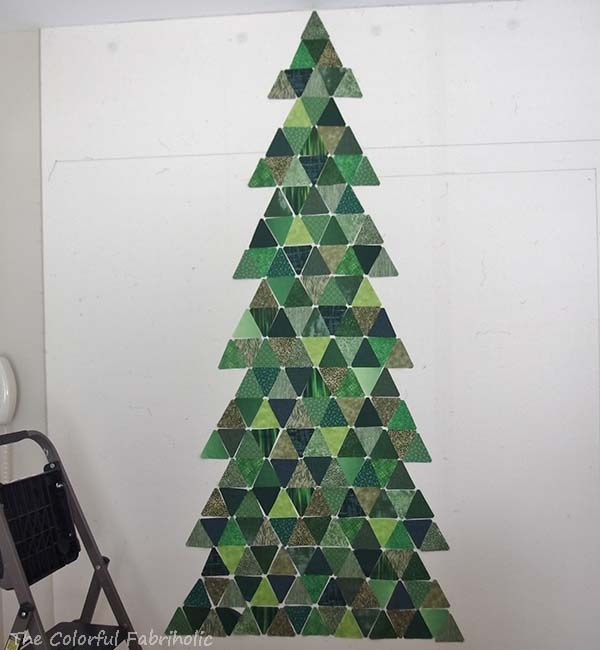 The background around it will be horizontal strips, the same width as the height of the triangles. 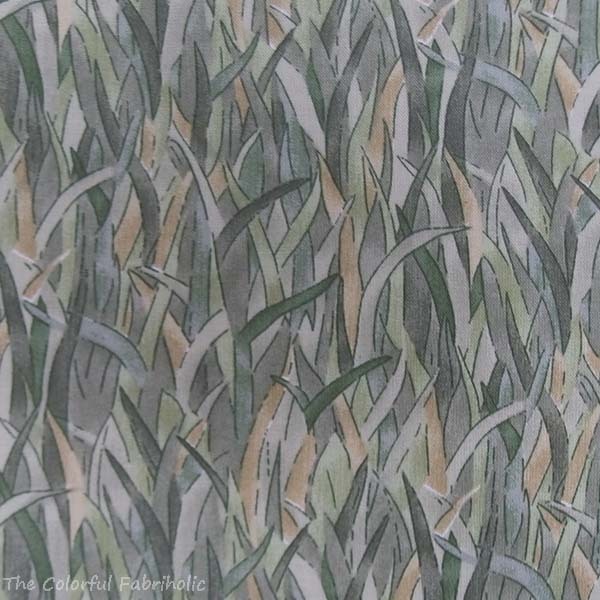 The greens for the tree and the low volume neutrals for the background will be very scrappy. In order for it to fit on the back of the door, it can't be any longer than 78" tall and 30" wide. My sketch here is too wide, so I will have to modify it slightly. I collected some wonderful greens in Paducah to supplement the ones I already have. Lots of scrappy variety! That plaid will be the binding. To hang ornaments on the tree, I'll stitch loops using the same technique as thread belt loops at the intersections of each seam within the tree. That way they can hang ornaments of any size anywhere they like. I'll find out what kind of door they want to hang it on. If it's a metal door, I'll sew magnets onto the back across the top, bottom, and a couple on the sides so it won't swing. If it's a wooden door, I'll put sleeves (rod pockets) at the top and bottom and they can attach rods to the door. They'll be able to display their Christmas ornaments without the tree taking up a lot of room in their home, and the cats won't be able to climb it. 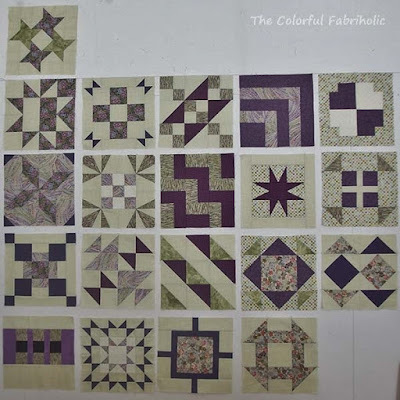 I'll be participating in Sarah's 12 Days of Christmas in July at Confessions of a Fabric Addict, so come back during the blog hop and see what kind of progress I've made on this project by then.